This is Hennessy's most popular model with features including mesh pocket on ridgeline and complimentary webbing straps to protect the bark of trees. 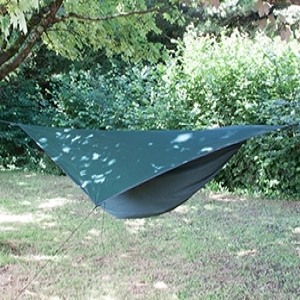 Patented asymmetrical shape and 30% larger rainfly than the Scout model. 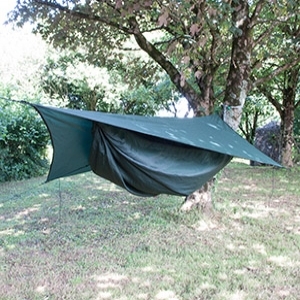 Made from 210D Oxford Nylon, the Hennessy Expedition looks and feels tougher than most other hammocks; despite the use of heavier fabrics, it's still incredibly comfortable. Also available: Hex fly & snakeskins.